This scenic 800 deeded acre ranch has 4 miles of the Big Sandy River flowing thru it. 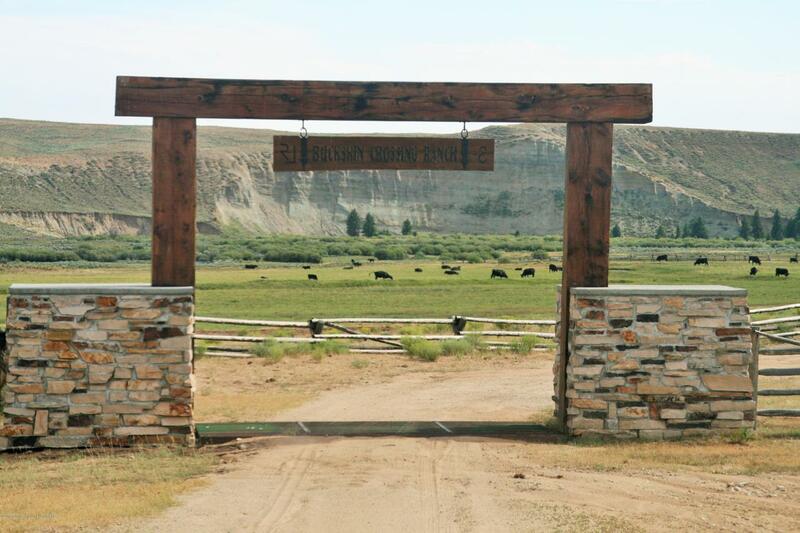 There is a BLM lease abutting the deeded land with 1380 acres of grazing. It is just downstream of the Nat'l Forest at the foot of the Wind River mountains and Bridger Wilderness area. Water rights are excellent and the fishing is too. There is a main house, managers house, and 4 extra cabins for guests or employees. There are 13 outbuildings including a 2450 s.f. barn with back up generator system, plus 900 s.f. and 504 s.f. equipment sheds. There is hay storage, a tool shed, loafing sheds and various smaller utility sheds. Irrigation is by ditch and gated pipe. Seller represents the ranch will carry up to 100 head of cattle. The Lander Cut off of the Old Oregon Trail passes the east end of the ranch.